Lebanon’s premier Saad Hariri will travel to France “in the coming days”, a French presidential source said Wednesday, after Beirut accused Saudi Arabia of detaining him following his shock resignation. International pressure has been mounting for Hariri to return to Beirut after his prolonged stay in the kingdom since he announced in a televised speech from Riyadh on November 4 that he would be stepping down, tipping his country into crisis. The French presidency said Hariri and his family had been “invited” to France after President Emmanuel Macron spoke by telephone with both Saudi Crown Prince Mohammed bin Salman and the Lebanese prime minister. Hariri “should arrive in France in the coming days”, a source at the French presidency told AFP. Macron later told reporters Hariri had been invited to France for a “few days” with his family, and that did not mean exile. The development came as French Foreign Minister Jean-Yves Le Drian arrived in Riyadh where he met Prince Mohammed late Wednesday. He is due to hold talks with Hariri on Thursday. Speculation has swirled around the fate of Hariri, who is a Saudi citizen and grew up in the kingdom, with Lebanon’s President Michel Aoun accusing Saudi Arabia of “detaining” him. “Nothing justifies the failure of Prime Minister Saad Hariri to return for 12 days, therefore we consider him to be held and detained, contrary to the Vienna Convention,” Aoun tweeted. “We will not accept that he remains a hostage and that we do not know the reasons for his detention,” he added. There have been rumours that Hariri had been detained along with dozens of Saudis in what Riyadh says is an anti-corruption campaign. 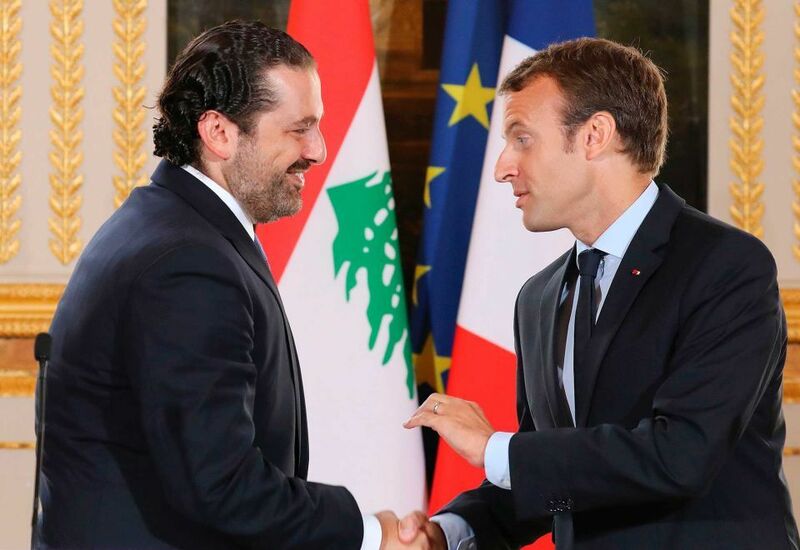 Macron has stressed that Hariri should be able to return to Lebanon to confirm, or not, his resignation. In his sharply worded resignation from Saudi Arabia, Hariri, 47, accused Saudi Arabia’s arch-rival Iran and its Lebanese ally Hezbollah of destabilising his country and the broader region. He repeated the sentiment on Tuesday, publishing his first tweet in more than a week to insist he was “perfectly fine”. Lebanon has been buffeted for decades by conflicts between bigger players in the region such as Iran and Syria.